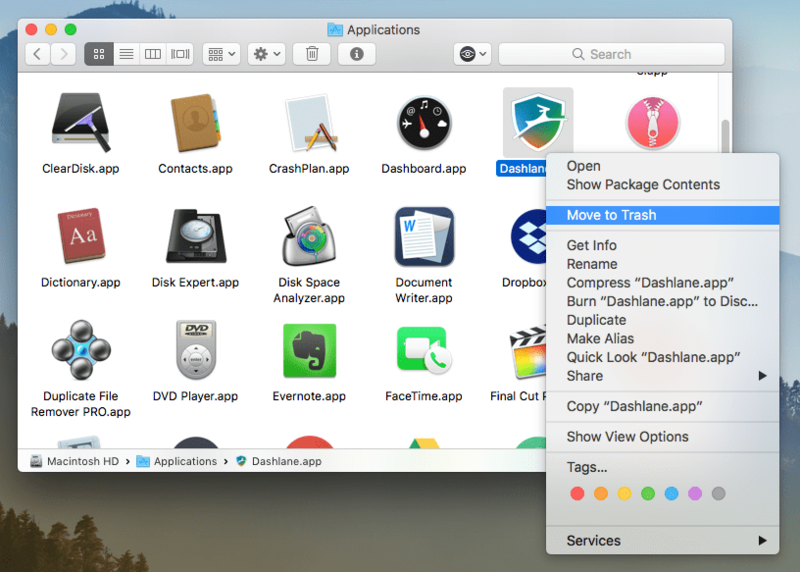 Despite the fact that Dashlane is a popular tool, most Mac users frequently ask us how to uninstall the app on their Macs. If you do not like the Dashlane program for some reason, then it’s better to delete it. The less unnecessary software you have, the better the performance of your Mac. So here’s the solution. 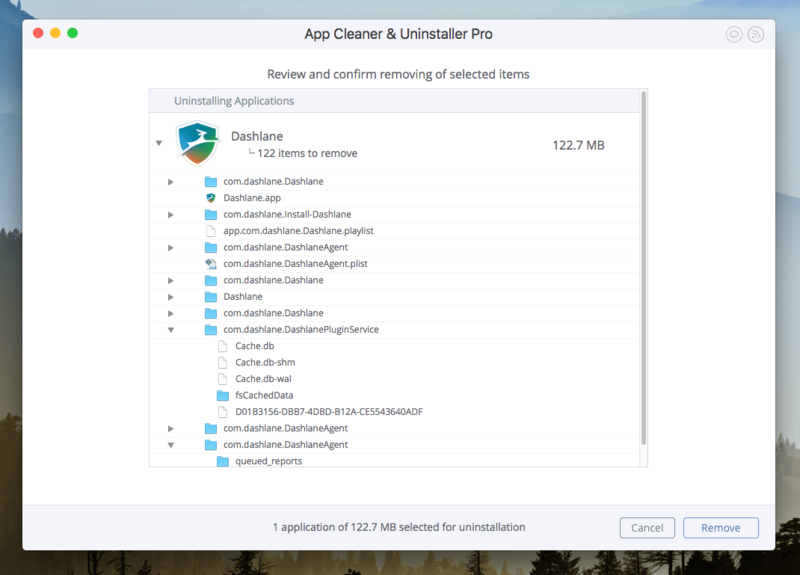 Uninstall Dashlane using App Cleaner. First, you should go to your Applications folder and move Dashlane from there to the Trash. Find all files related to Dashlane and remove them. The third step is to empty your Trash. The files in the Trash still eat up your disk space. If you want to get rid of Dashlane completely, don’t forget to remove its files from the Trash folder. 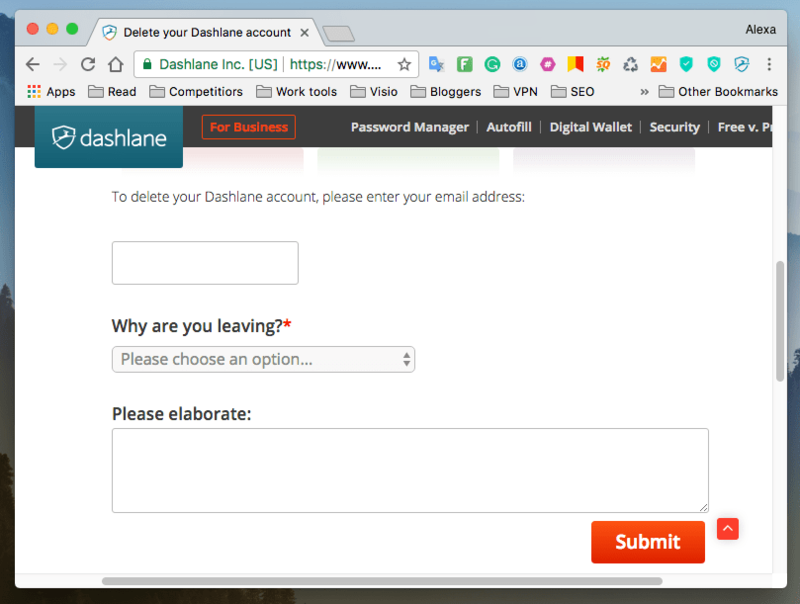 The last step is connected with the most frequently asked question: how to delete my Dashlane account. For this, go to the account deleting page, enter the email address you used for account registration, fill some more required fields, and click the Submit button. The Dashlane Support team will delete your account. On the one hand, the manual way of uninstalling Dashlane is not difficult but, on the other hand, it takes up time. Luckily, there is a quicker way to remove Dashlane completely. 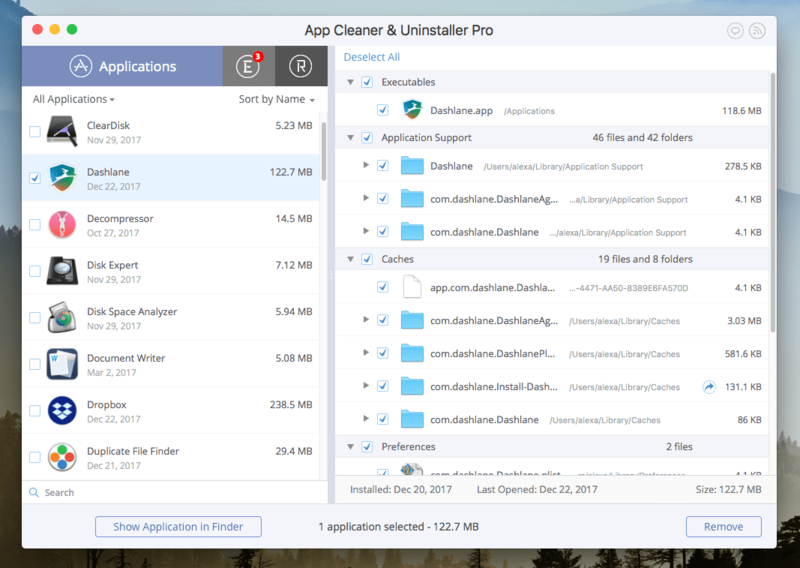 You can use a freeware App Cleaner & Uninstaller, which allows you to uninstall any app with just one click. First, download the uninstalling tool and launch it. You will see a list of all programs in your Applications folders. Find the Dashlane app and select it. Then just click the Remove button and confirm uninstalling Dashlane. 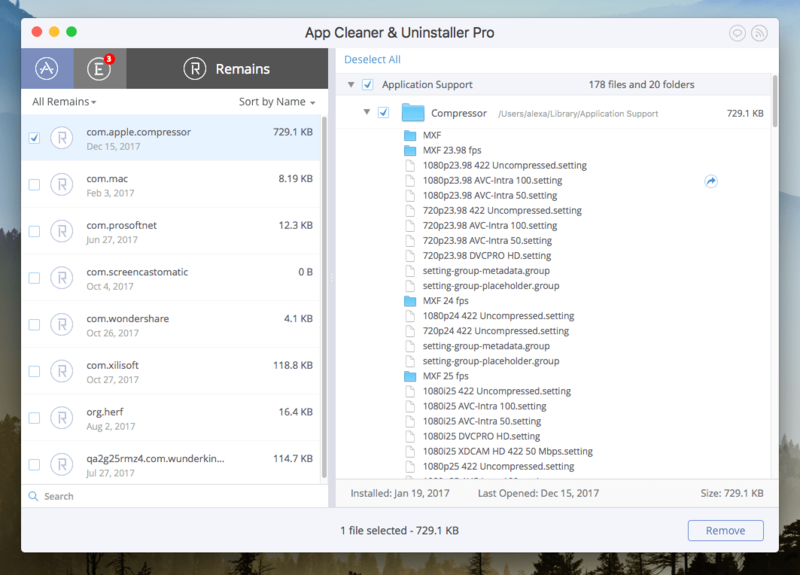 Note, App Cleaner & Uninstaller automatically finds all support files of the apps so that you don’t need to search for them manually. Moreover, it finds the leftovers of previously removed apps. That means that you can just check the Remains tab and delete files from there. 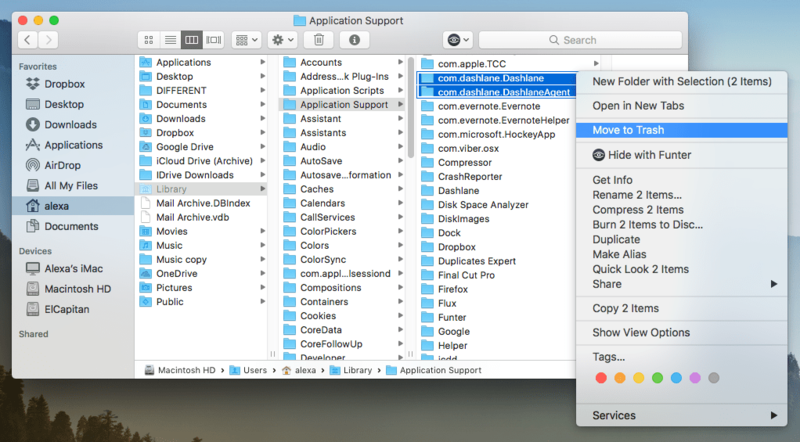 With App Cleaner & Uninstaller, your Mac will always be free of useless files.